I wish to extend my warm welcome to readers of the first edition of ‘In classe’, an exciting new initiative of ‘Il Globo’. I hope that In classe will become a space for students, parents and teachers to share ideas and nurture the study of the Italian language in Victorian schools. Victoria has a large and vibrant Italian community. The influence of Italian culture and language is an important part of the diverse fabric of our unique multicultural society, one of our greatest assets, helping to ensure the strength, cohesion and prosperity of our state. More than 112,000 Victorians – or 1.9 per cent of our population – speak Italian at home. Italian is also the most studied language in Victorian schools, with some 78,945 students learning Italian at primary and secondary level in 2017. Around 363 teachers teach Italian in 264 schools and 10 Victorian School of Language centres across the state. As a Victorian of Italian heritage, I have always had a proud connection to my Italian roots and it is wonderful to be engaged with the Italian community and language. I am also proud that the Victorian Government is building the Education State so that every Victorian student gets the opportunity for a great education and every community has access to a great school. From term 1 2019, around 5,000 preschool children across Victoria will have the chance to learn in a language in addition to English, thanks to a $17.9 million investment over four years. This funding will allow 164 kindergartens to deliver language programs – including Italian – at no additional cost to services or parents as part of two new programs, the Learn Languages at Kinder program and the Bilingual Kindergarten program. We continued our support for 14 Designated Bilingual Programs offered at 12 primary schools, including Victoria’s first Italian bilingual program at Brunswick South Primary School, with a $2.4 million investment in the 2018-19 budget. The bilingual program enables all students at Brunswick South to engage in lessons in Italian for up to 12.5 hours of class time per week, and it is wonderful to see strong community support for this program. In 2018, we announced a $7.5 million funding boost for community language schools to give some of our youngest Victorians the support they need to learn their mother tongue and connect with their heritage language. In an Australian first, we are expanding community language schools to early childhood and preschool-aged children – giving around 2,000 additional students access to the program. We are also making sure that community language teachers get the support they need, with a $100,000 boost for professional development, training and administration for the program. We know that being bilingual has many benefits for children, from stimulating brain development, to enhancing English literacy skills, memory, concentration and numeracy skills as well as improving overall performance at school. We also know that children who speak the language their parents speak at home have a strengthened sense of identity, and find it easier to retain strong connections to their family, community and culture throughout life. The Government recognises that a globally orientated education system is crucial to the economic future of Victoria and ensures that our young people have the skills they need to succeed in an increasingly inter-connected world. We have introduced a new component of the Victorian Curriculum, called Intercultural Capability, which helps students to become active and informed global citizens, and the Victorian Early Years Learning and Development Framework has a focus on respecting cultural diversity. We firmly believe that learning a language at school or kindergarten will help to set children up for the best start in life. So, whether you are a parent, teacher, student or speaker of Italian, I invite you to read and engage with In classe to learn, share news and ideas and celebrate the study of the Italian language in Victoria. The Hon. 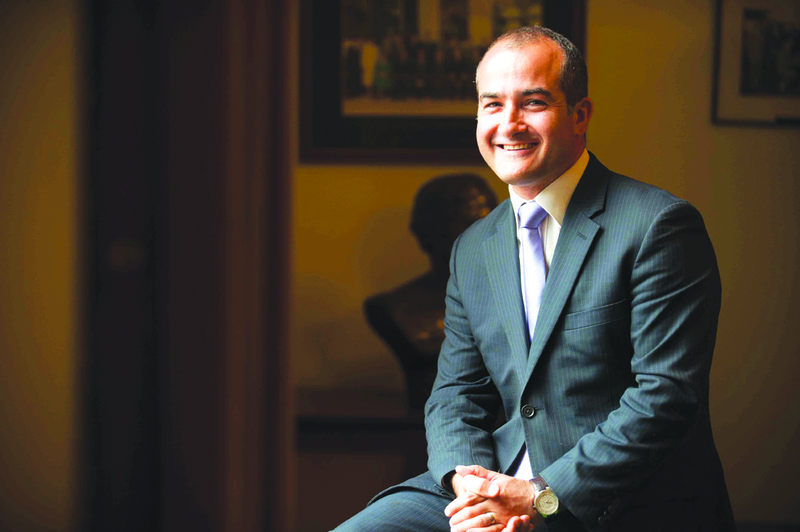 James Merlino is Victorian Minister for Education.